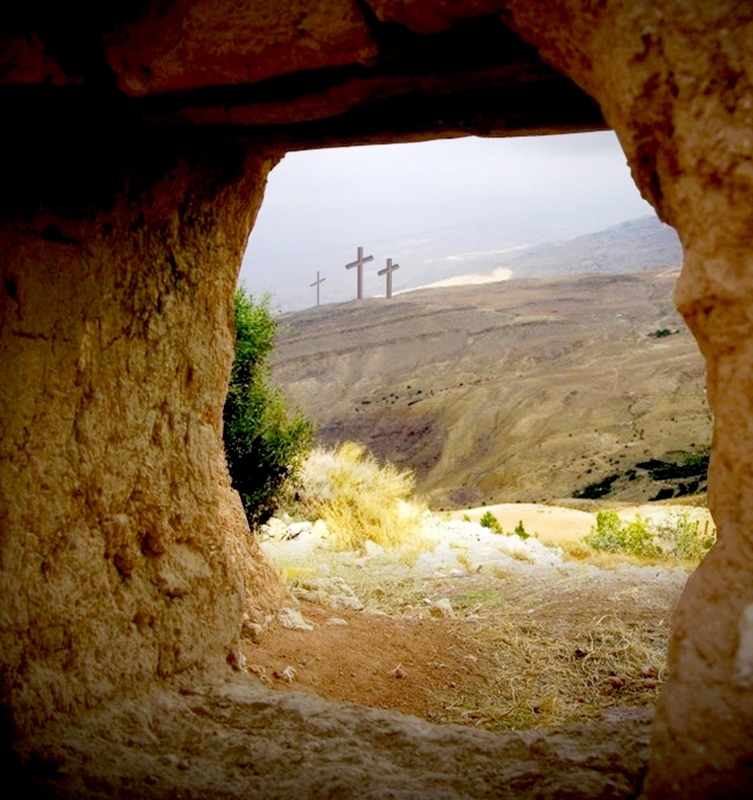 The resurrection of our Lord and saviour gives us a hope of eternal life no other can give. So much was accomplished at the cross that we could never praise Jesus enough for taking the place that all of us deserve to be on the cross for, yet He laid down His life for so many to be our redemption and salvation! Our reward is in heaven and we are instructed to feed the poor, maimed and blind and our recompense will be at the resurrection of the just(Luke 14:12-15).This life is not about us, it is about the one who gave His life so that we may live through Him and one day rise through His spirit to an eternal home He has prepared for us. As christians we know we are dead and our life is hid in Christ, and it is His life giving spirit which allows us to walk through this life by His strength. This powerful lesson is boldly seen that Christ is the resurrection when His friend Lazarus died and four days later rose again! (John 11:11-26). 11 These things said he: and after that he saith unto them, Our friend Lazarus sleepeth; but I go, that I may awake him out of sleep.12 Then said his disciples, Lord, if he sleep, he shall do well.13 Howbeit Jesus spake of his death: but they thought that he had spoken of taking of rest in sleep.14 Then said Jesus unto them plainly, Lazarus is dead.15 And I am glad for your sakes that I was not there, to the intent ye may believe; nevertheless let us go unto him.16 Then said Thomas, which is called Didymus, unto his fellowdisciples, Let us also go, that we may die with him.17 Then when Jesus came, he found that he had lain in the grave four days already.18 Now Bethany was nigh unto Jerusalem, about fifteen furlongs off:19 And many of the Jews came to Martha and Mary, to comfort them concerning their brother.20 Then Martha, as soon as she heard that Jesus was coming, went and met him: but Mary sat still in the house.21 Then said Martha unto Jesus, Lord, if thou hadst been here, my brother had not died.22 But I know, that even now, whatsoever thou wilt ask of God, God will give it thee.23 Jesus saith unto her, Thy brother shall rise again.24 Martha saith unto him, I know that he shall rise again in the resurrection at the last day.25 Jesus said unto her, I am the resurrection, and the life: he that believeth in me, though he were dead, yet shall he live:26 And whosoever liveth and believeth in me shall never die. Believest thou this? April 15, 2019 in Biblical Truths. Tags: Bible, God, Jesus, John 11:11-26, Luke 14:12-15, Resurrection !